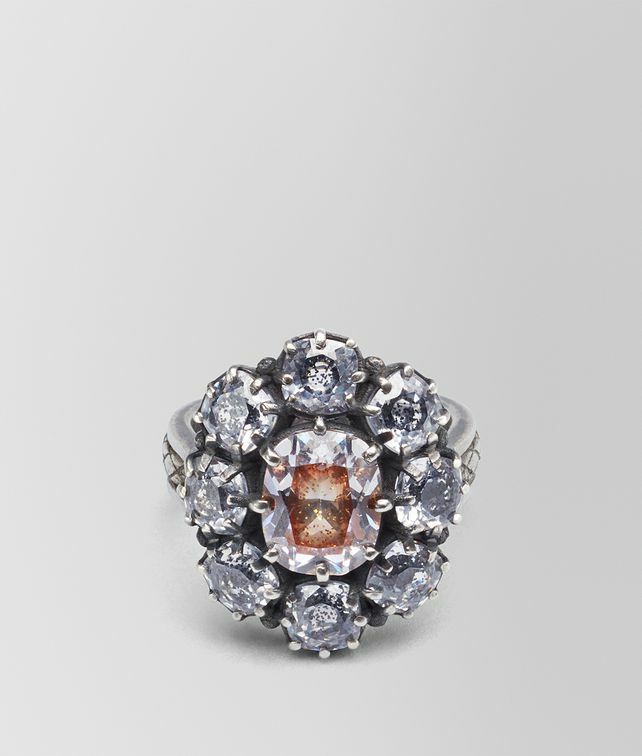 Designed to recall a sparkling flower, this elegant ring is set with cubic zirconia stones, hand-enameled following an exclusive artisanal technique. The silver band has a dark, oxidized finish which creates a spectacular contrast paired with the warm enamel palette. Size of element: 1.95 x 2.2 cm | 0.76 x 0.86"